You'll get in some beach time at Stokes Beach and Browns Beach. Take a break from the city and head to Flinders Chase National Park and Raptor Domain. 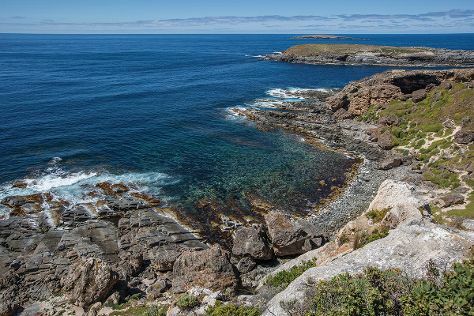 There's still lots to do: identify plant and animal life at Seal Bay Conservation Park, explore and take pictures at Island Pure Sheep Dairy, Head underground at Kelly Hill Caves, and take some stellar pictures from Cape du Couedic Lighthouse. To see other places to visit, ratings, and tourist information, refer to the Kangaroo Island trip itinerary builder . London, UK to Kangaroo Island is an approximately 27-hour combination of flight and taxi. The time zone difference when traveling from London to Kangaroo Island is 9 hours. Wrap up your sightseeing on the 5th (Tue) to allow time to travel to Port Lincoln. On the 6th (Wed), don't miss a visit to The Old Mill, stroll through Sleaford Bay, and then enjoy the sand and surf at Fishery Bay. On the next day, get a new perspective on things with Boat Tours & Water Sports. Planning Port Lincoln trip won't be overwheling when you use's Insprock itinerary maker. Traveling by combination of taxi and flight from Kangaroo Island to Port Lincoln takes 3 hours. Alternatively, you can do a combination of car and ferry; or do a combination of taxi, ferry, and bus. Finish up your sightseeing early on the 7th (Thu) so you can travel to Robe. Robe is a town and fishing port located in the Limestone Coast of South Australia. Start off your visit on the 8th (Fri): enjoy the sand and surf at Robe Beach, let the kids burn off some steam at Susan Wilson Memorial Playground, and then make a trip to Bowman Scenic Drive. On the 9th (Sat), you'll have a packed day of sightseeing: kick back and relax at Beachport Surf Beach, then explore the activities along Beachport Lagoon, and then take in the exciting artwork at Wilson's at Robe. For ratings, where to stay, photos, and other tourist information, refer to the Robe online tour planner . Getting from Port Lincoln to Robe by car takes about 11 hours. Other options: fly. Wrap up your sightseeing on the 9th (Sat) to allow time to travel to Victor Harbor. Victor Harbor is a town in South Australia on the south coast of the Fleurieu Peninsula, about 80 km south of the centre of Adelaide. Escape the urban bustle at Horseshoe Bay and Boomer Beach. Relax by the water at Aldinga Beach and Blowhole Beach. Step out of Victor Harbor with an excursion to Morgan Beach in Cape Jervis--about 54 minutes away. There's still lots to do: stroll through Waitpinga Beach, head off the coast to Granite Island, stop by Victor Central, and sample the fine beverages at Encounter Coast Spirits. To find more things to do, traveler tips, photos, and other tourist information, use the Victor Harbor trip maker website . You can drive from Robe to Victor Harbor in 4 hours. In March, plan for daily highs up to 30°C, and evening lows to 18°C. Finish your sightseeing early on the 12th (Tue) so you can drive to Adelaide. You'll enjoy a bit of beach vacationing at West Beach and Semaphore Beach. Get outdoors at Cleland Wildlife Park and Adelaide Zoo. Step out of Adelaide with an excursion to Hallett Cove Conservation Park in Hallett Cove--about 30 minutes away. 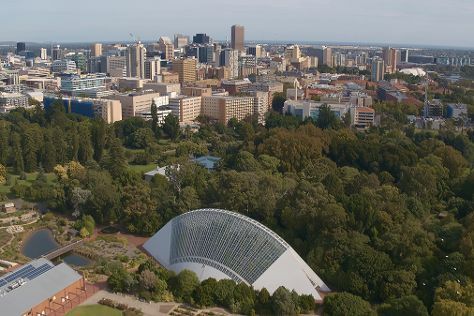 The adventure continues: admire the natural beauty at Adelaide Botanic Garden, steep yourself in history at Adelaide Oval, stop by Haigh's Chocolates Beehive Corner, and enjoy the sand and surf at Henley Beach. To see photos, where to stay, maps, and tourist information, read our Adelaide online journey planner . Traveling by car from Victor Harbor to Adelaide takes 1.5 hours. Alternatively, you can take a bus; or do a combination of bus and train. In March, daytime highs in Adelaide are 30°C, while nighttime lows are 18°C. Finish up your sightseeing early on the 15th (Fri) so you can travel back home.